The 2014 Storymoja Festival took place from September 17th – 21st at the Nairobi National Museum. 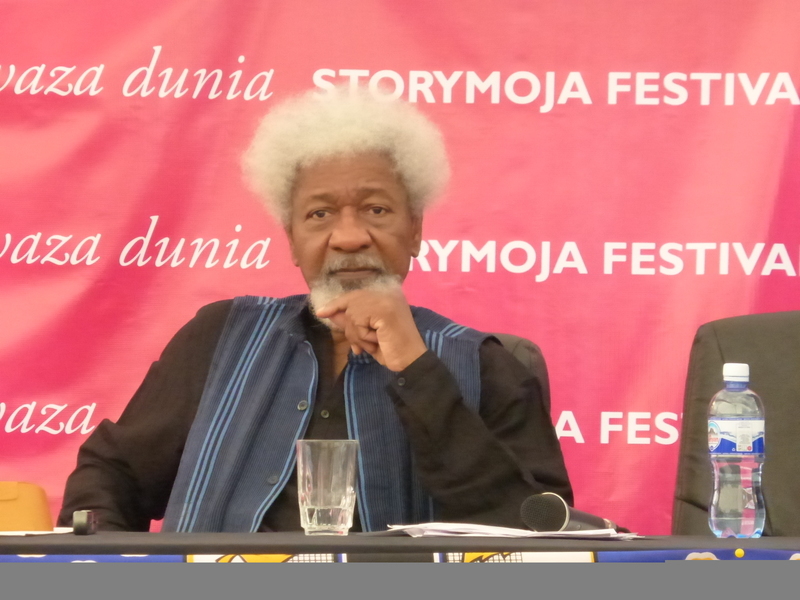 One of the special highlights of the festivities was the presence of Professor Wole Soyinka. The Nobel Laureate delivered the Wangari Maathai memorial lecture to a full house. He also honoured the late Professor Kofi Awoonor who perished in the 2013 Westgate Mall attack. The lecture was mainly about trees and their place in our lives. Beyond the collective recognition of the importance of trees, the audience was asked to consider the concept of a family tree in a globalised village. Your fore-mothers’ and -fathers’ burial-ground. He continued to say that the destruction of the environment bears an unmistakable correlation to gross human rights abuses. Images of trees conveyed powerful messages about tumultuous histories. On the death of Professor Kofi Awoonor, Elder, poet and intellectual, mourners said, “A mighty tree has fallen”. The Dome was filled with hundreds of people, many of who spilled out of the white marquee, onto adjacent lawns. Whereas adults listened intently, some of the bored schoolchildren played games on their smart phones and took selfies. The full text of the lecture is available as Parables-from-Wangari-Maathais-Trees-Professor-Wole-Soyinkas-Lecture-at-Storymoja-Festival-2014.